Description: In the article are considered the features of exploitation of composite technical systems with random duration of intervals of expectation and usage as required are reviewed. The problem of definition and control of a level of reliability of a composite technical system with allowance for of its actual availability index of product and dynamics of change of reliability in conditions of parametric prior uncertainty of the information about reliability of an item. Demidov, B.A., Ivanchenko, O.V. and Pivnev, D.A. 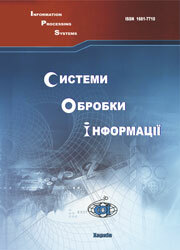 (2002), “Opredelenie i kontrol urovnia bezotkaznosti slozhnoi tekhnicheskoi sistemy”, Information Processing Systems, Vol. 4(20), pp. 55-61.